Is My Prognosis Worse If I Have Failed Oral Pulmonary Hypertension Therapy? We recently received an interesting question from one of our readers. “If oral therapy is not effective and in less than a year of diagnosis I am already moving to inhaled, does this mean I will not have a chance at survival like a patient who does well with the initial pills?” In this blog we will address the basic question of what factors affect the prognosis of a pulmonary arterial hypertension patient. While it is impossible to predict how long a patient with PAH will live we do know that on average PH patients are living longer than they did 10 years ago. Each patient is an individual with different contributing factors and different responses to therapy. There are several other factors that affect how long and well a pulmonary arterial hypertension patient will survive. What “type” of PAH does the patient have? Is it idiopathic (no known cause) or related to a connective tissue disease such as scleroderma? Patients with PAH due to congenital heart disease have the best prognosis. Patients with cirrhosis (liver failure) as the cause of their PAH have the worst prognosis. Patients with scleroderma typically do less well than patients with idiopathic (no identifiable cause). The earlier in the disease process that treatment begins the better. It appears that pulmonary arterial hypertension treatments are very affective at slowing the progression of the disease. The sicker the patient the harder it is to gain control of their PAH. That being said, over the years, we have had many patients that were gravely ill when we met them and been able to restore them to excellent shape with aggressive use of combination therapy. Compliance with strict salt and fluid restrictions, using oxygen if needed and other medications as prescribed, staying as active as possible, and communicating with your pulmonary hypertension team regularly will ensure that you are getting the most out of your treatments. Patients usually struggle with at least one of the above initially but over time they are able to develop good habits and a routine. What Does Failing Pulmonary Hypertension Therapy Mean? Everyone has a different threshold for deciding if a PAH medicine is not working or not working enough. For some patients a failure is feeling worse overall or not being able to do something they had previously been able to do and for others a failure is just holding steady rather than making improvements. Some providers may be focused on the hemodynamics (pressures they record during a right heart catheterization) and be quick to act if the numbers worsen even if the patient does not feel worse. It is important that the patient and physician are speaking the same language when it comes to measuring success or failure of a therapy. We strive for our patients to meet several benchmarks. 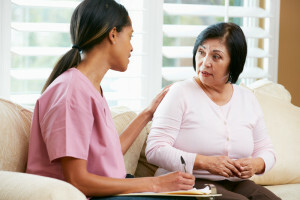 Be sure to speak with your provider about what the goals of therapy are and when they would label the trial a failure and switch or add on therapies. There is a major unanswered question in PAH as to whether it is better to use our more complex therapies such as continuously infused prostanoids (treprostinil/epoprostenil) earlier or reserve them for patients that are doing very poorly. There are several different approaches for initiating pulmonary hypertension therapies. For some practices the standard is to start with a single therapy and add on additional therapies if the patient does not improve. Other practices may start with one, two, or even three classes of drugs at the same time depending on how sick the patient is upon diagnosis. Over time combination therapy, or starting with at least two classes of drugs, has become more and more accepted. This may mean starting with two oral therapies, an ERA and a PDEV inhibitor, or initiating a continuously infused prostacyclin along with an oral therapy. Our philosophy has been to treat patients very aggressively with combination therapy and not delay starting our most effective agents. An important research study is just about to finish enrollment “AMBITION”. This study will answer the question about whether we should use one oral agent and then add another or start with two oral agents. Patients that respond less well to a treatment should prompt us to make sure that the diagnosis is correct and reassess the severity of their PAH. In my practice, failure to improve adequately to a single treatment prompts me to add a second agent at no later than 3 months . We hope some day to be able to identify patients that will respond best to specific treatments. Each patient is an individual with different contributing factors and different responses to therapy. There is no crystal ball or text book to predict the future. It is important to have an open and honest discussion with your PAH specialists about what their approach is with treatment, what options you would have should the initial treatment approach fail, and what the goals of therapy are for you specifically so that you can have the appropriate expectations. If you do not have confidence in the care or the plan of care you are receiving get a second opinion. The second opinion may help instill confidence in the current treatment approach or may motivate you to seek a new plan.